Tainted water from the American Tunnel at Gladstone pours out of the portal into Cement Creek in this May 2012 photo. Building a treatment plant to remove heavy metals from abandoned mines along Cement Creek may cost $6.5 million, and operating it could cost another $910,000 a year, according to a Sunnyside Gold Corp. consultant. Sunnyside Gold Corp. last October offered to contribute up to $6.5 million to address water-quality issues in Cement Creek and the Animas River, including up to $5 million to operate a cost-effective treatment plant to process tainted water spewing from the mine portals above Silverton. But that $5 million for operations would keep the plant running only for about five years, according to the report by MWH Global, of Boise, Idaho. Sunnyside Gold Corp. operated the Sunnyside Mine, accessed by the American Tunnel portal at Gladstone. The mine closed in 1991 and the portal has long since been bulkheaded, but is nonetheless leaking tainted water into Cement Creek. The MWH Global report looked at five alternatives, with construction costs estimated at between $4.5 million and $6.5 million, and operating costs pegged at between $876,000 and $1.4 million. 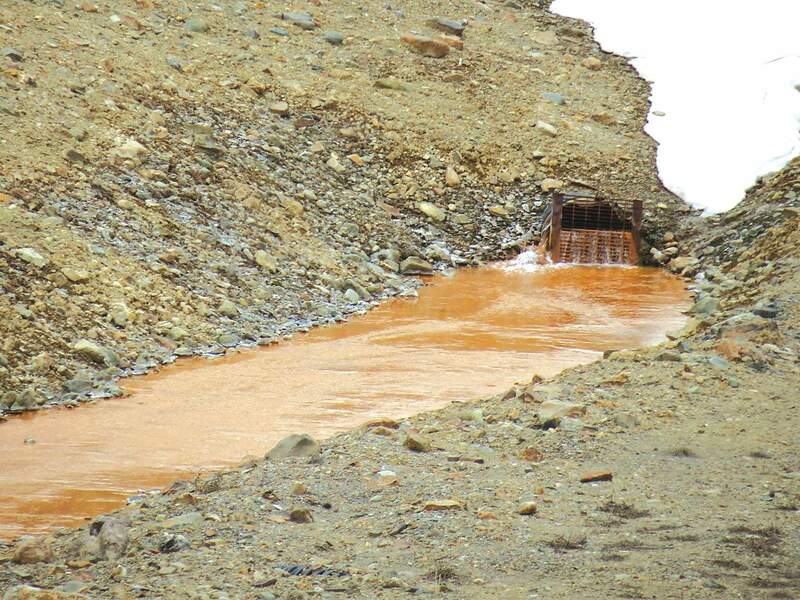 The project is seen as a possible solution to heavy metals loading in Cement Creek from acidic mine drainage. The problem is considered so serious that the Environmental Protection Agency found the site eligible for Superfund listing last year. But lacking community support, the EPA backed off its proposed listing in April and agreed to proceed with a collaborative process with the Animas River Stakeholders Group. The four mine portals that are the focus of attention are the Mogul, Red & Bonita, Gold King No. 7 and the American Tunnel. Butler said that about 57,000 pounds (28.5 tons) of zinc come out of the four main draining adits each year. That is about 50 percent of the zinc that is carried by Cement Creek in Silverton, Butler said. Approximately 241,000 pounds of zinc is carried down the Animas River at the monitoring station just below Silverton. So the four-adit loading is about 25 percent of the loading in the Animas below town, Butler said. A water-treatment plant near Gladstone was operated from 1978 to 2003. From mid-1996 through 2003 when the Gladstone treatment plant was in operation, as much as 1,600 gallons per minute of Cement Creek flow was diverted for treatment at the facility. The treatment plant increased the pH to 9 or higher. Lime-precipitated metal solids were allowed to settle within four flow-through earthen settling ponds prior to discharge back to Cement Creek. The facility was relatively simple, the MWH Global report states. The alternative MWH Global found superior involved collection of the flow from the American Tunnel, Gold King and Red & Bonita drainages plus some flow from Cement Creek into a single influent source that would be treated in a mechanical water-treatment plant. For planning purposes, the system was sized for a flow of 1,000 gallons per minute to represent a maximum average high monthly flow from the drainage sites and some Cement Creek drainage treatment during lower flow periods.